No matter the state where you were caught driving under the influence of alcohol or drugs, in the U.S. you risk paying a fine and spending time in jail for this offense. It doesn’t matter if you were involved in an accident or not, or if somebody was hurt or there were no victims. However, the laws regarding DUIs differ considerably according to each state and to the severity of the offense. Today, we are going to be taking a closer look at the Arizona DUI laws, focusing on what could cause you to get one, what the punishment can be, and what you can expect if this ever happens. According to Arizona state laws, if you have a blood alcohol concentration of at least 0.08%, you can be charged with a DUI even if your ability to drive was not actually impaired. In the case of a commercial vehicle, one that requires a special driving license, the limit is of 0.04%. If you are under the age of 21, Arizona DUI laws state that the blood alcohol concentration should be 0%. This is what is called a “zero tolerance” law. Furthermore, the mere fact that you were driving a car means that you have to allow officers to test you and find out the concentration of alcohol in your blood. This is called the Implied Consent Law. If you simply do not want to take the test, you should know that the punishment can be quite severe. In the case of first offenders, you will get your license suspended for 1 year. However, if this is your second or third offense, your license will be suspended for 2 years. You should also know that prior convictions will be taken into account only if they happened in the last seven years. After this period passes, your record will be clean again. Do I Risk Going to Jail? As we’ve already established, Arizona DUI laws state that you risk getting imprisoned if you have been caught driving under the influence. Here too, the period varies according to whether this was your first offence or not. Consequently, if you’ve never gotten a DUI before, the minimum amount you have to spend in jail is 10 days. However, if this is your second or third offense, the minimum period is of 90 days in the case of the former, and unlimited for the latter. Now, let’s have a closer look at what would happen to you if you were to get convicted with a first offense DUI. First of all, you would have to spend 10 days in jail, sentence that can be prolonged up to 6 months. Secondly, you will have to pay from $1.250 up to $2.500 in fines, you might have to do probation for 3 years, and you might also have to do community service. Furthermore, any vehicle you might drive will have to have an ignition interlock device installed. In this case, the minimum amount you have to spend in jail is of 90 days, and you also have to pay at least $3.000 in fines. You will get your licensed revoked for 12 months, you will have to go through probation, community service, and you are forced to install an ignition interlock device. You can get convicted with an extreme DUI when your blood alcohol concentration is of 0.15 or higher. In this case, the punishment changes again, also keeping in mind if this was your first offense of not. For instance, in the case of a first offense extreme DUI, you will have to spend 30 days in jail without suspension, and you will pay at least $2.500 in fines. Again, you will have to perform community service, undergo treatment or alcohol education sessions, and you will have to install an ignition interlock device on any car you might be driving. If this is not your first offense, you will be in jail for at least 120 days, pay no less than $3.250, get your license suspended for 12 months, go through treatment and education regarding drunk driving, perform community service, and also install the required device on the car you might want to drive in the future. Arizona DUI laws state that an aggravated DUI is committed by a person who is caught driving under the influence of alcohol or drugs while he or she already has the license suspended, canceled, or revoked. Furthermore, any person who commits three DUIs in 84 months, is under the age of 15, or has an ignition interlock device installed but refuses to take a blood alcohol concentration test, is passible of getting an aggravated DUI. Now let’s see what the punishments are in the case of an aggravated DUI. Well, you will have to go to jail for a maximum of two years and you will get your license revoked for three years. The rest of the punishments are similar to the ones for an extreme DUI, namely community service, treatment and education related to alcohol consumption followed by driving, and the fact that you will have to install an ignition interlock device. In Arizona, as in all states in the U.S., if you are caught driving while under the influence of alcohol or drugs, you run the risk of getting imprisoned, paying a fine, getting your license suspended, undergoing treatment and education, having to do community service, and so on. However, since the laws of each state differ, it can be quite confusing at times to understand what to expect if this ever happens to you. 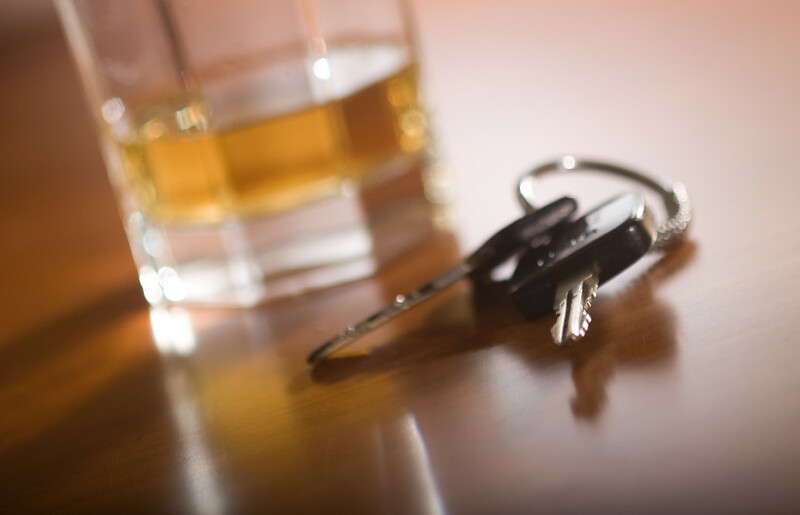 If you are ever in the area, consult our short guide on Arizona DUI laws and get informed. Hey Buddy!, I found this information for you: "Arizona DUI Laws – What You Should Know". Here is the website link: https://www.duiauthority.com/arizona-dui-laws/. Thank you.